Lady Kasuga (春日局, Kasuga no Tsubone, 1579 – October 26, 1643) was from a prominent Japanese samurai family of the Azuchi–Momoyama and Edo periods. Born Saitō Fuku (斉藤福), she was a daughter of Saitō Toshimitsu (who was a retainer of Akechi Mitsuhide). 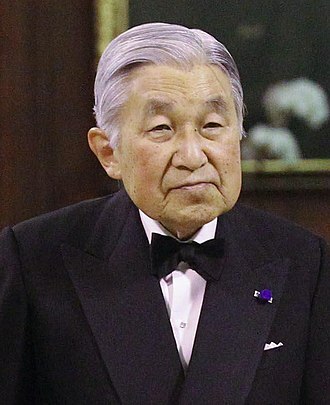 Her mother's father was Inaba Yoshimichi. Married to Inaba Masanari, she had three sons, including Inaba Masakatsu, and an adopted son, Hotta Masatoshi. 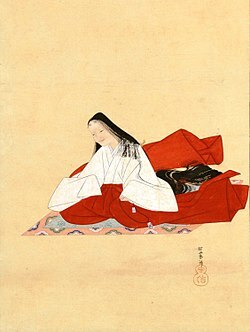 She was the wet nurse of the third Tokugawa shōgun Iemitsu. 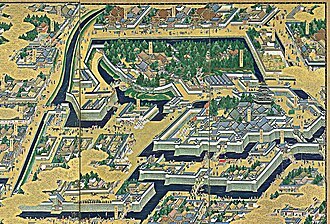 She also established the Ōoku, the women's quarters, at Edo Castle and also she became Roju otoshiyori after Iemitsu became shōgun. There is some rumour said that Tokugawa Iemitsu was son of Tokugawa Ieyasu with Kasuga. In 1629, Ofuku traveled to the capital, where she had an audience with the emperor at the Imperial Court in Kyoto. She was promoted to the extraordinarily high Court rank of second class; and after this time, she was called Kasuga-no-Tsubone or Lady Kasuga. 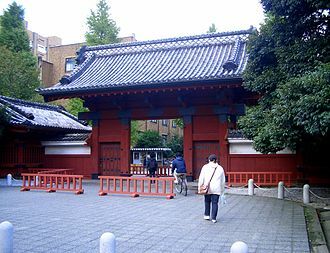 Her grave is in Rinshō-in, a temple in Bunkyō, Tokyo; the temple possesses a portrait of Kasuga by Kanō Tan'yū. 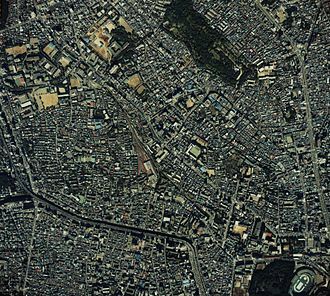 The Kasuga neighborhood of Bunkyō takes its name from her. Another grave is in Odawara, Kanagawa Prefecture. Basilisk: The Kouga Ninja Scrolls (2005 anime and manga) voiced by Kimiko Saitō. Nioh (2017), known as the Onmyo mage character Fuku. ^ Murdock, James. (1996) A History of Japan, p. 3. Murdock, James. (1996) A History of Japan. London: Routledge. A ninja or shinobi was a covert agent or mercenary in feudal Japan. The functions of the ninja included espionage, infiltration and their covert methods of waging irregular warfare were deemed dishonorable and beneath the samurai-caste, who observed strict rules about honor and combat. Following the unification of Japan under the Tokugawa shogunate, the ninja faded into obscurity, a number of shinobi manuals, often based on Chinese military philosophy, were written in the 17th and 18th centuries, most notably the Bansenshukai. 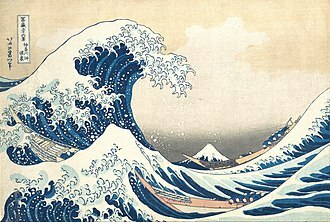 By the time of the Meiji Restoration, the tradition of the shinobi had become a topic of popular imagination, Ninja figured prominently in legend and folklore, where they were associated with legendary abilities such as invisibility, walking on water and control over the natural elements. As a consequence, their perception in popular culture is based more on such legend. Ninja is a reading of the two kanji 忍者. In the native kunyomi reading, it is pronounced shinobi. The word shinobi appears in the record as far back as the late 8th century in poems in the Manyōshū. The underlying connotation of shinobi means to steal away, to hide and — by extension — to forbear, hence its association with stealth and invisibility. 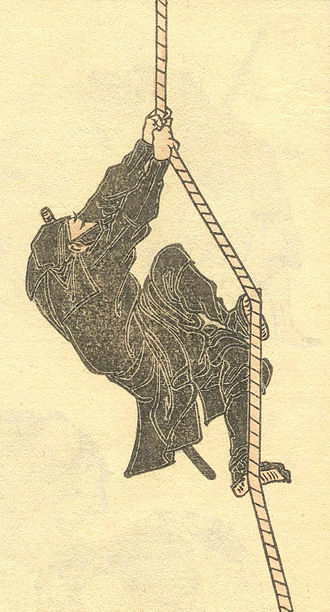 Historically, the ninja was not in common use. Along with shinobi, some examples include monomi, rappa, kusa, in historical documents, shinobi is almost always used. Kunoichi, meaning a female ninja, supposedly came from the characters くノ一, in the West, the word ninja became more prevalent than shinobi in the post-World War II culture, possibly because it was more comfortable for Western speakers. In English, the plural of ninja can be either unchanged as ninja, reflecting the Japanese languages lack of grammatical number, despite many popular folktales, historical accounts of the ninja are scarce. 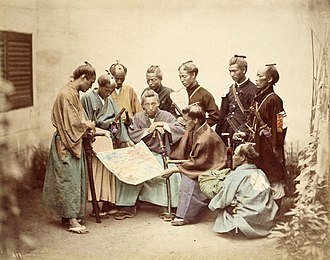 Historian Stephen Turnbull asserts that the ninja were recruited from the lower class. Instead, war epics such as the Tale of Hōgen and the Tale of the Heike focus mainly on the aristocratic samurai, the title ninja has sometimes been attributed retrospectively to the semi-legendary 4th-century prince Yamato Takeru. The Tokugawa shogunate, known as the Tokugawa bakufu and the Edo bakufu, was the last feudal Japanese military government, which existed between 1600 and 1868. The head of government was the shogun, and each was a member of the Tokugawa clan, the Tokugawa shogunate ruled from Edo Castle and the years of the shogunate became known as the Edo period. This time is called the Tokugawa period or pre-modern. 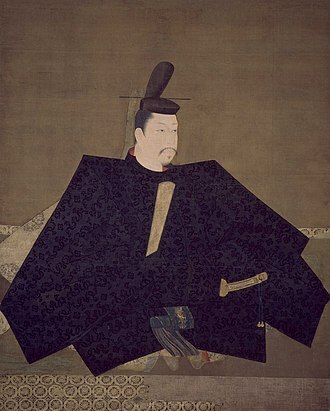 Following the Sengoku period, the government had been largely re-established by Oda Nobunaga during the Azuchi–Momoyama period. 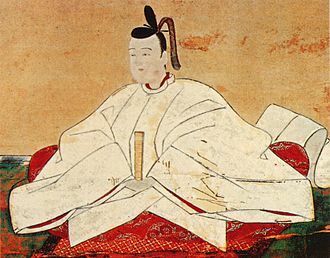 After the Battle of Sekigahara in 1600, central authority fell to Tokugawa Ieyasu, society in the Tokugawa period, unlike the shogunates before it, was supposedly based on the strict class hierarchy originally established by Toyotomi Hideyoshi. The daimyō were at the top, followed by the warrior-caste of samurai, with the farmers and traders ranking below. In some parts of the country, particularly smaller regions, daimyō and samurai were more or less identical, since daimyō might be trained as samurai, the largely inflexible nature of this social stratification system unleashed disruptive forces over time. Taxes on the peasantry were set at fixed amounts which did not account for inflation or other changes in monetary value, as a result, the tax revenues collected by the samurai landowners were worth less and less over time. 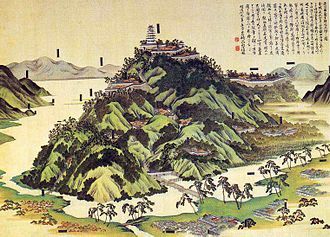 This often led to confrontations between noble but impoverished samurai and well-to-do peasants, ranging from simple local disturbances to much bigger rebellions. None, proved compelling enough to challenge the established order until the arrival of foreign powers. The Tokugawa Shogunate came to an end in 1868 with the resignation of the 15th Tokugawa Shogun Tokugawa Yoshinobu. The bakuhan taisei was the political system in the Edo period of Japan. Baku is an abbreviation of bakufu, meaning military government—that is, the han were the domains headed by daimyō. Vassals held inherited lands and provided service and homage to their lords. The bakuhan taisei split feudal power between the shogunate in Edo and provincial domains throughout Japan, provinces had a degree of sovereignty and were allowed an independent administration of the han in exchange for loyalty to the shogun, who was responsible for foreign relations and national security. Odawara is a city located in western Kanagawa Prefecture, Japan. As of February 2015, the city had an population of 194,672. 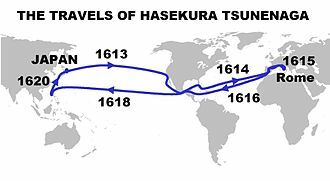 The total area is 113.79 km2, the area around present day Odawara has been settled since prehistoric times, and archaeological evidence indicates that the area had a high population density in the Jōmon period. From the Ritsuryō system of the Nara period, the became part of Ashigarashimo District of Sagami Province. 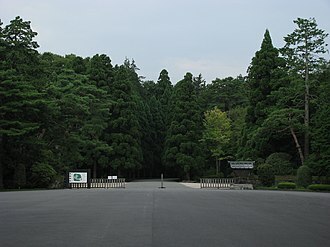 It was divided into shōen during the Heian period, mostly controlled by the Hatano clan, during the Genpei War between the Heike clan and Minamoto no Yoritomo, the Battle of Ishibashiyama was fought near present-day Odawara. 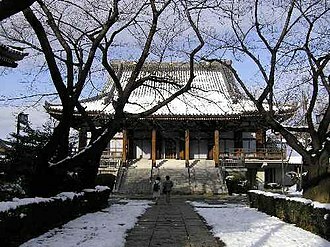 During the Sengoku period, Odawara developed as a town and capital of the domains of the late Hōjō clan. 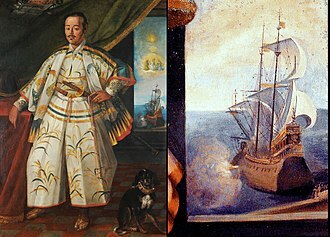 The Hōjō were defeated by Toyotomi Hideyoshi in the Battle of Odawara in 1590, despite the reputation of Odawara Castle. Under the Tokugawa shogunate, Odawara was the center of Odawara Domain, the castle town prospered as Odawara-juku, a post station on the Tōkaidō highway connecting Edo with Kyoto. After the Meiji Restoration, Odawara Domain briefly became Odawara Prefecture, the epicenter of the Great Kantō earthquake in 1923 was deep beneath Izu Ōshima Island in Sagami Bay. It devastated Tokyo, the city of Yokohama, surrounding prefectures of Chiba and Shizuoka Prefectures. Ninety percent of the buildings in Odawara collapsed immediately, and fires burned the rubble along with anything else left standing, Odawara regained some measure of prosperity with the opening of the Tanna Tunnel in 1934, which brought the main routing of the Tōkaidō Main Line through the city. Odawara was raised from the status of town to city on December 20,1940, on August 15,1945, Odawara was the last city in Japan to be bombed by Allied aircraft during World War II. On November 1,2000 Odawara exceeded 200,000 in population and was proclaimed a special city with increased autonomy from the central government. 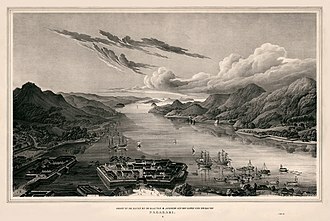 Odawara occupies the Ashigara Plains, in the far western portion of Kanagawa Prefecture and it is bordered by the Hakone Mountains to the north and west, the Sakawa River to the east and Sagami Bay of the Pacific Ocean to the south. Nioh is an action role-playing video game developed by Team Ninja for the PlayStation 4. It was released worldwide in February 2017, and was published by Koei Tecmo in Japan, gameplay revolves around navigating levels and defeating monsters that have infested an area. Nioh takes place in the early 1600s during a fictionalized version of the Sengoku period, when Japan was in the midst of civil war prior to the ascension of the Tokugawa shogunate. A sailor named William, in pursuit of an enemy, arrives in Japan and is enlisted by Hattori Hanzo, servant to Tokugawa Ieyasu, Team Ninja was given the project, and the subsequent development lasted four years. The story was based on the life of historic Western samurai William Adams, first announced in the year it began development, information became sporadic until 2015, when it was reintroduced as a PlayStation 4 exclusive. Alpha and beta demos were released during 2016, to gauge public reaction to the title and make adjustments based on feedback. Initially scheduled for a 2016 release, the adjustments pushed the release into the following year, upon release, Nioh received critical acclaim, with most critics favorably comparing it to the Souls series. Nioh is an action role-playing game set in Japan during the year 1600, while navigating environments, William can find various collectables both in crates scattered through the environment and in other places within the environments such as fallen soldiers. These collectables include Amrita, the experience points, the in-game currency, new weapons and armor. Weapons and armor found in the environment can be taken to a blacksmith, skill points acquired in combat are assigned at shrines. Fighting is based around hack and slash combat, with William being able to attack enemies, William can run and sprint with these and combat actions draining his Ki stamina bar. When his Ki has been depleted, William is left vulnerable to attack, if timed right, William is able to replenish lost Ki with an action called Ki pulse. 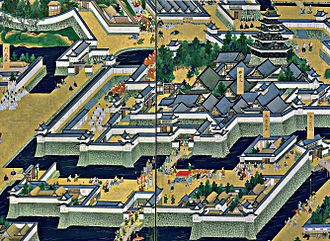 Edo Castle with surrounding residential palaces and moats, from a 17th-century screen painting. Hideyoshi's "Edict of expulsion of the Christian Padres" (吉利支丹伴天連追放令), 1587. Yamato Takeru dressed as a maidservant, preparing to kill the Kumaso leaders. Woodblock print on paper. Yoshitoshi, 1886. The plains of Iga, nested in secluded mountains, gave rise to villages specialized in the training of ninja. Antique Japanese gappa (travel cape) and cloth zukin (hood) with kusari (chain armour) concealed underneath. Samurai ō-yoroi armour, Kamakura period. Tokyo National Museum. The kabuto (helmet) of Tokugawa Ieyasu. 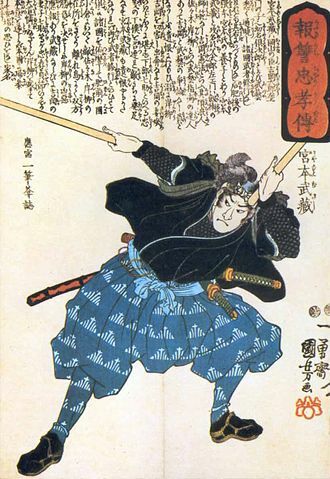 Miyamoto Musashi in his prime, wielding two bokken. Woodblock print by Utagawa Kuniyoshi. Daimyō Matsudaira Katamori visits the residence of a retainer. Mannequins in building in Aizuwakamatsu. 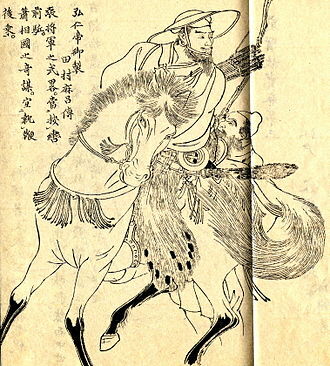 A 1672 work by Tan'yū, from the Freer Gallery of Art. Woodblock print by Utagawa Kunisada I (unsigned, the print is the upper part of a ’two scenes’ print, only the lower part is signed). 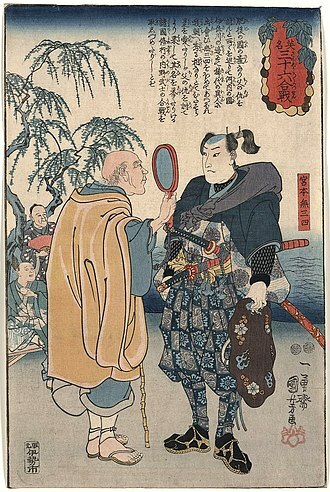 The actors Seki Sanjūrō III and Bandō Shūka I as Inukai Genpachi and Inuzuka Kiba in the Play ’Satomi hakkenden’, performed at the Ichimura theatre in 1852. An example of modern nitōjutsu practice.